Those with a taste for curiosity find that in the Interior Region there is much to explore. Ripley and Lucknow offer visitors two downtowns and a lighthouse. Visit the Pine River Cheese Museum or grab a mountain bike and take to the trails at Lucknow’s Kinloss Tract. If you have a taste for wine and cheese, visit Mildmay’s Hoity Toity Cellars to discover how wine is made. Be sure to make a stop at the Mildmay Cheese Haus before leaving town. Walkerton’s vibrant downtown offers shopping and restaurants. Your curiosity will likely lead you to Walkerton’s Heritage Water Garden and the memorial fountain. In Paisley boasts an active artistic community. There is lots of browsing to be done at Nature’s Millworks’ restored historic mill. If you like to walk, explore the trails that surround the town. Don’t be surprised if you a see a Mennonite horse and buggy go by. 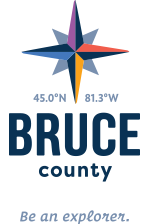 This area is the heart of Bruce County’s agricultural and Mennonite communities. Visiting the Bruce Botanical Food Gardens is a food adventure that’s uniquely Canadian. Reconnect your family to the food we take for granted. There’s much to learn about sustainable agriculture and the issues facing small family farms. Discover issues of food insecurity and get a real hands-on experience. Here, you’ll explore over 250 varieties of rare, endangered, heirloom and world food plants - over 10,000 plants in all with more coming every year. Learn about ancient plants and plants with crazy names. This non-profit organization promises a truly unique experience. Find some family togetherness on a fun-filled photo scavenger hunt that takes you to ice cream shops along the Ice Cream Trail past golf courses, parks, a pool and a splash pad. Make a day of it or do it a little at a time. Explore the towns of Point Clark, Lucknow and Ripley as you stop for lunch or, pack a bathing suit and a picnic, and delight in a picture-postcard perfect day at the beach, pool or splash pad. Come for the day or bring your tent or trailer to Saugeen Bluffs Conservation and set up camp for a week. With close to 200 sites, (half of those with water and electricity hook-ups) there is plenty of parkland to explore. The park is set alongside the winding Saugeen River. You’ll find it won’t take long before you’re canoeing and fishing. Be sure to bring your fishing gear or rent a canoe from Thorncrest Outfitters or Cowan Canoe and Kayak Livery so you can uncover the beauty of the Saugeen from the water. Birders will find plenty to watch with scenic vistas and trails through hardwood forests. If you’re horsey, bring your best friend along for the adventure of a lifetime. Bringing your horse on vacation is truly a unique experience, one that isn’t available at many other parks in Ontario. Be sure to call ahead for information. From apples to cider, grapes to wine and sheep to labour there's nothing fancy about this snob free cellar. While you are here ask to feed the sheep at Hoity Toity Cellars or sample their famour 66Pickup. They offer tours around their vineyard as well!